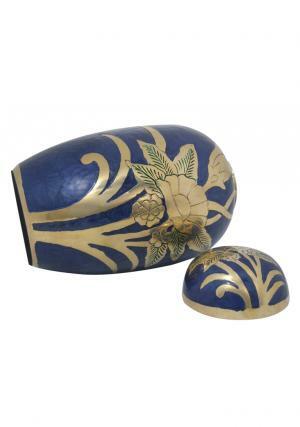 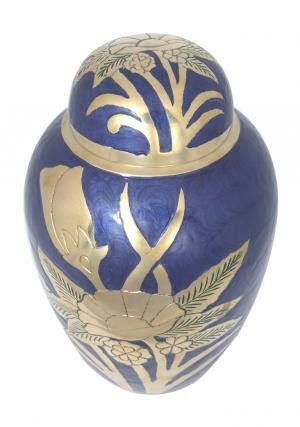 Dome Top Silver Floral Embossed Violet Brass Adult Urn made of solid brass metal with the engravings of floral decorated in nickel finish with silver shine presence. 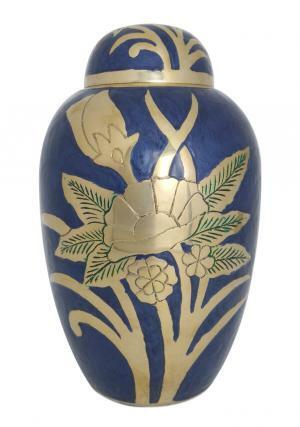 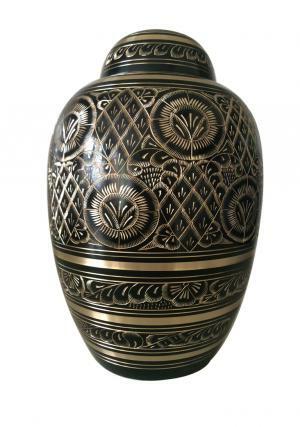 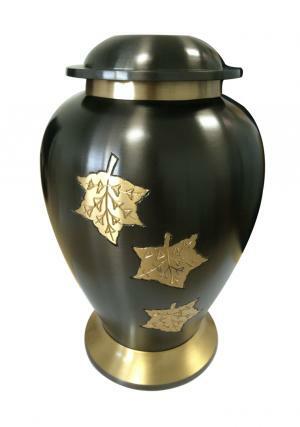 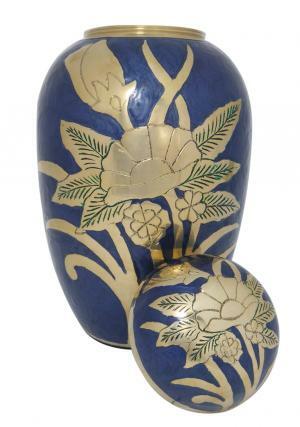 The large adult urn is enamelled in violet finish on the brass urn. 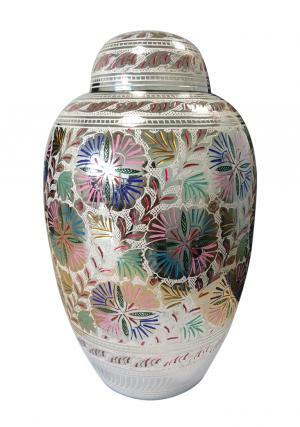 The lid of the urn is decorated in silver flowers and violet enamel used to secure ashes in the urn with screw threading from the top. 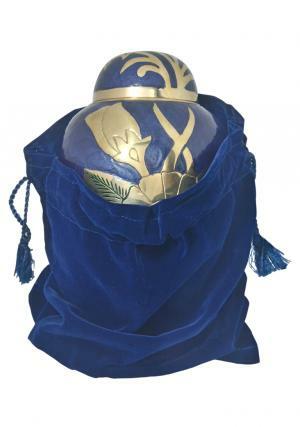 Dome Top Silver Floral Embossed Violet Large Adult urn is measured to carry 200 cubic inch of human adult ashes which stands 10.53 inch height, 6.40 inch in width and weighs approximately 2.2 kg without ashes.